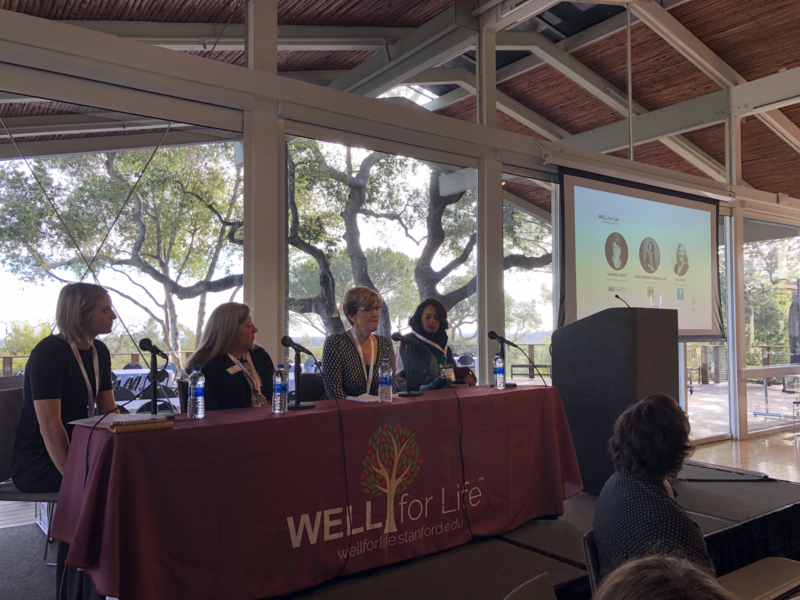 Stanford University – Mayers Memorial Hospital District’s Director of Public Relations, Valerie Lakey was a presenter at the Stanford School of Medicine’s WELL for Life 2019 Annual Summit last week. Lakey was a part of the Community Partner Panel. MMHD has joined with Stanford’s WELL for Life program which is an innovative study at the Stanford Research Prevention Center designed to identify and modify factors that can lead to disease. WELL is meant to encourage people to be WELL for life and offer and opportunity to improve daily and long-term well-being. As a Critical Access Hospital, Mayers is in a position to help Stanford with a specific demographic and identify needs of a rural community. Additionally, MMHD will receive reporting from the program to help identify local health care needs to improve local programs and services. Lakey was asked to share about MMHD’s partnership with WELL, priorities of the rural community, benefits and challenges of participating in the program and give input on what would make the program more effective. The WELL program is interested in piloting a program with MMHD to establish best practices to expand the program into other Critical Access facilities. The Summit was attended by the WELL Asia partners for Taiwan, Singapore and China. Lakey attended a dinner with the international partners and was able to share information and gain valuable insight and network connections. For more information on the WELL program and to learn how it can benefit you and our community and help Stanford with valuable research, contact Val Lakey vlakey@mayersmemorial.com. DALLAS, TX – Serving an area larger than five states and a community 45 miles from the nearest traffic light, Dr. Daniel Dahle is the medical version of a hero in a Clint Eastwood western, keeping the local citizens safe not with six shooters but with over three decades of medical expertise and an unflinching commitment to personalized care. For his exceptional record of compassion and service, Dr. Dahle has been named 2019 Country Doctor of the Year. Presented by Staff Care, an AMN Healthcare company, the Country Doctor of the Year Award recognizes the spirit, skill, and dedication of America’s rural medical practitioners. The leading temporary physician staffing firm in the United States, Staff Care has presented the national award since 1992 to exemplary physicians practicing in communities of 30,000 or less. Raised on a potato farm near the California/Oregon border, Daniel Dahle served as a medical corpsman in Vietnam before earning a Ph.D. in radiation biology and a medical degree at the University of Rochester in New York. In 1985, he elected to return to his home region and began practicing in Bieber, California, a frontier town of 300 people located in an isolated section of northeastern California, where he has continued to practice for 33 years. 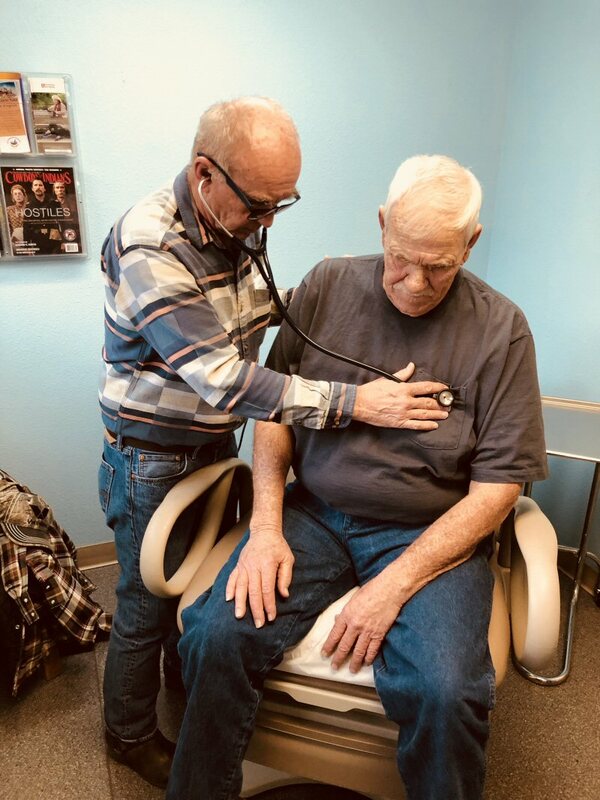 The sole primary care physician in Bieber, Dr. Dahle is on staff at Big Valley Health Center, a Federally Qualified Health Center (FQHC) that sees all patients, regardless of ability to pay. He draws patients from a service area that extends over 7,500 square miles, larger than Rhode Island, Delaware, Connecticut, Hawaii and New Jersey, and to a large extent has been personally responsible for maintaining health services in the region. In addition to seeing patients at the health center, Dr. Dahle drives 25 miles one way almost every day to see inpatients at Mayers Memorial Hospital in the town of Fall River Mills, where he also covers the emergency department and cares for long-term patients at the hospital’s nursing home. Over half the hospital’s inpatients are admitted by Dr. Dahle, and his presence in the community has been vital to the hospital’s continued viability. Dr. Dahle has delivered over 1,000 babies in his career, often under trying circumstances. Many of the residents in the local valleys, including much of the student body at Bieber’s high school where Dr. Dahle coached track for 25 years, were delivered by Dr. Dahle. His skills as a diagnostician are legendary, as one particularly telling incident illustrates. When a long-term patient and co-worker presented with pain and mental confusion, Dr. Dahle correctly diagnosed herpes encephalitis, despite encountering this rare condition only one previous time in approximately 350,000 patient encounters. 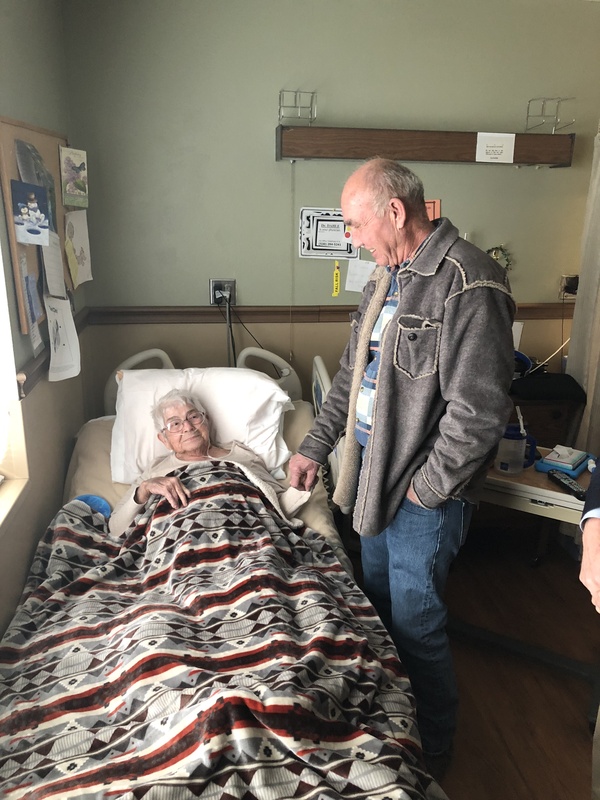 The condition is commonly fatal, but by rushing the patient to a tertiary care center hours away and insisting on proper treatment, Dr. Dahle is credited with saving her life. Not all of the duties that fall to a frontier doctor are strictly clinical. In one instance, Dr. Dahle was present when a knife wielding assailant attacked the local sheriff. Dr. Dahle was able to subdue the man with a forearm shiver. Most of his activities, however, are much more benign. One patient describes how Dr. Dahle was able to provide her dying husband with a last wish, personally escorting him on a scuba diving trip to Hawaii, while another relates how Dr. Dahle revived her newborn when the infant was not breathing. Virtually all of the town’s residents (including Clint Eastwood himself, who has a ranch in the area) have been positively impacted by him in one way or another. Now aged 70 and contemplating retirement, Dr. Dahle has made educating future care givers part of his mission. Each year he provides training to medical residents from the University of California, Davis as well as students from the physician assistant program at the University of Iowa. He is well known for sharing his “zebras” with students, medical slang for patients whose maladies are masked or otherwise difficult to diagnose. Dr. Dahle is hoping to pass the torch on to a husband and wife duo who will soon be completing their medical training and who Dr. Dahle has been recruiting since the couple was in medical school. Though he has seen rural practice evolve during his tenure, Dr. Dahle believes the essence remains the same. As the 2019 Country Doctor of the Year, Dr. Dahle will be able to enjoy two weeks of time off, as Staff Care will provide a temporary physician to fill in for him at no charge, a service valued at approximately $10,000. He also will receive the award’s signature plaque featuring a country doctor making his rounds on a horse and buggy, an engraved stethoscope, and a monogrammed lab coat. Additional information about the Country Doctor of the Year Award can be found at www.countrydoctoraward.com. Staff Care is the nation’s leading temporary physician staffing firm and is a company of AMN Healthcare (NYSE: AMN) the largest healthcare workforce solutions company in the United States . For more information, visit www.staffcare.com or www.amnhealthcare.com. 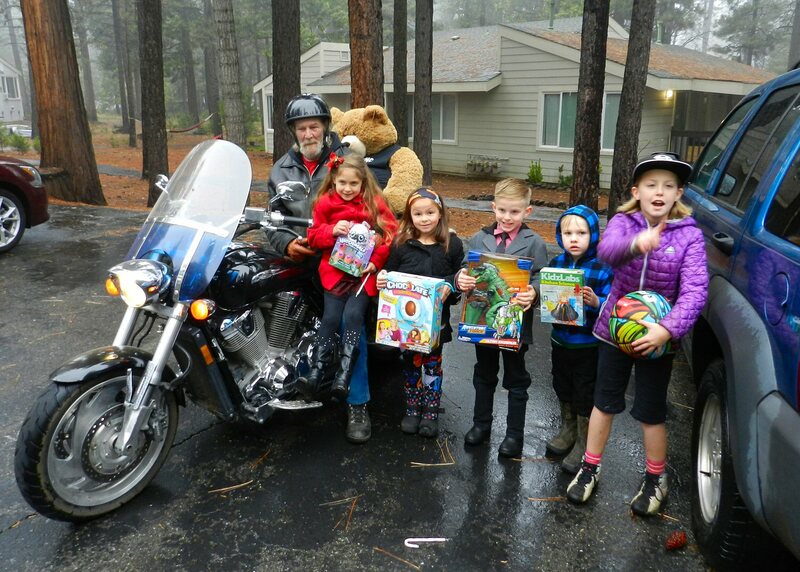 Riding through the chilly winter fog, United Bikers of Northern California “F Troop” delivered Christmas toys to more than one hundred children in low income housing in the Intermountain Area on Saturday morning December 15. 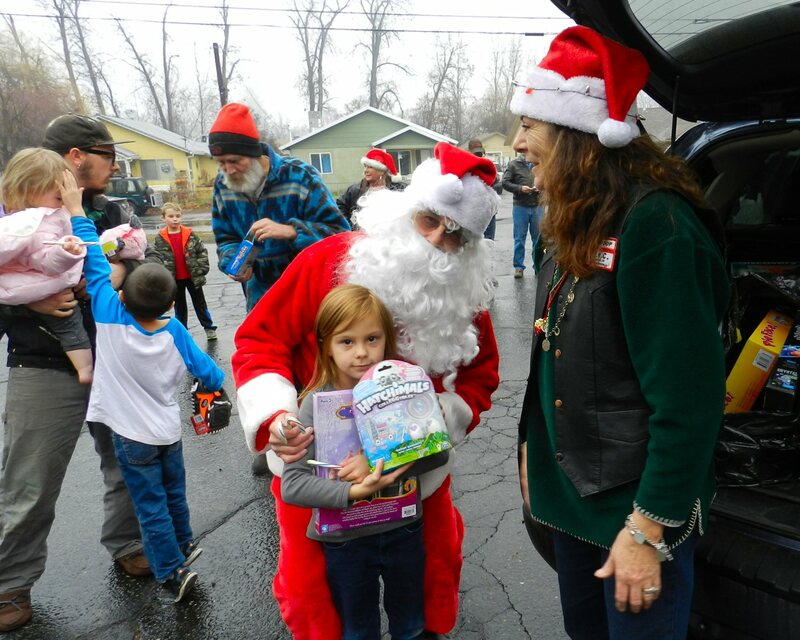 The bikers met at Greg Trotter’s house at 9:30 a.m. to pack vehicles with toys for boys and girls. 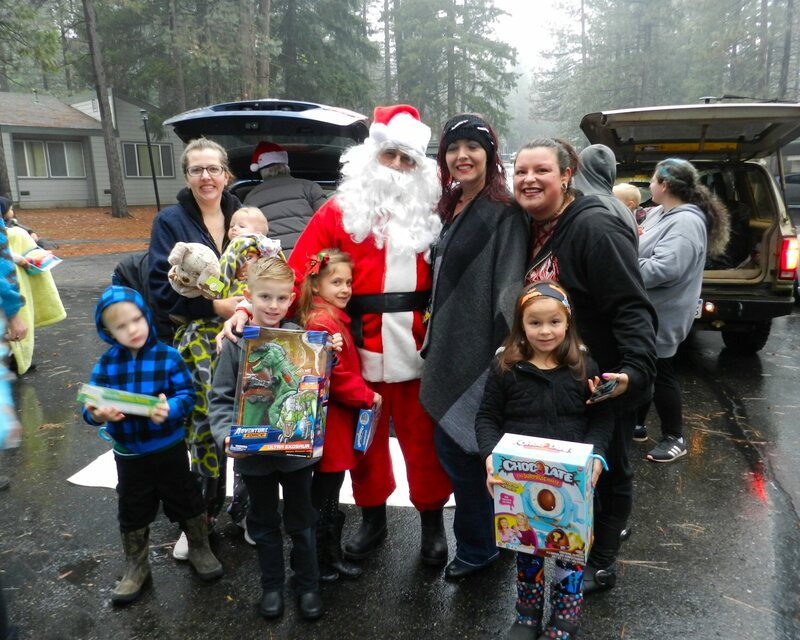 F Troop raised funds to purchase toys at their giant annual yard sale during the summer. 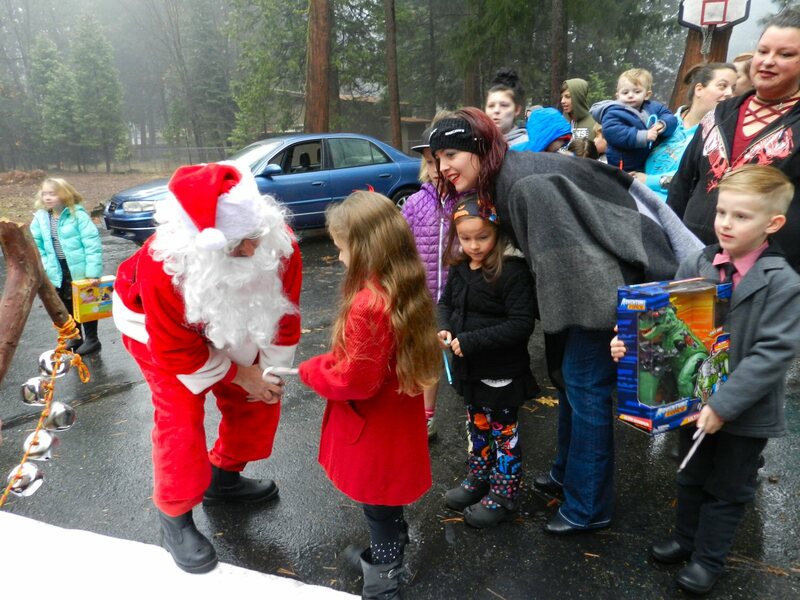 Additional toys were gathered by the “Stuff the Ambulance” program sponsored by Mayers Memorial Hospital. 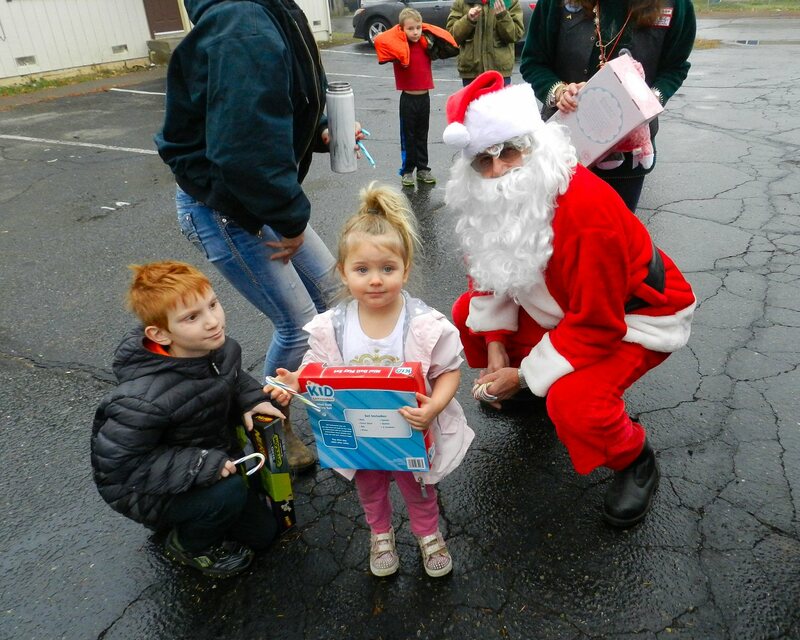 The club delivered toys to apartments on Superior Avenue and Burney Villa in Burney, Rainbow’s End Trailer Park in Johnson Park, Cedarwood apartments in Fall River Mills, Mayer’s Memorial Hospital, and McArthur Trailer Park. 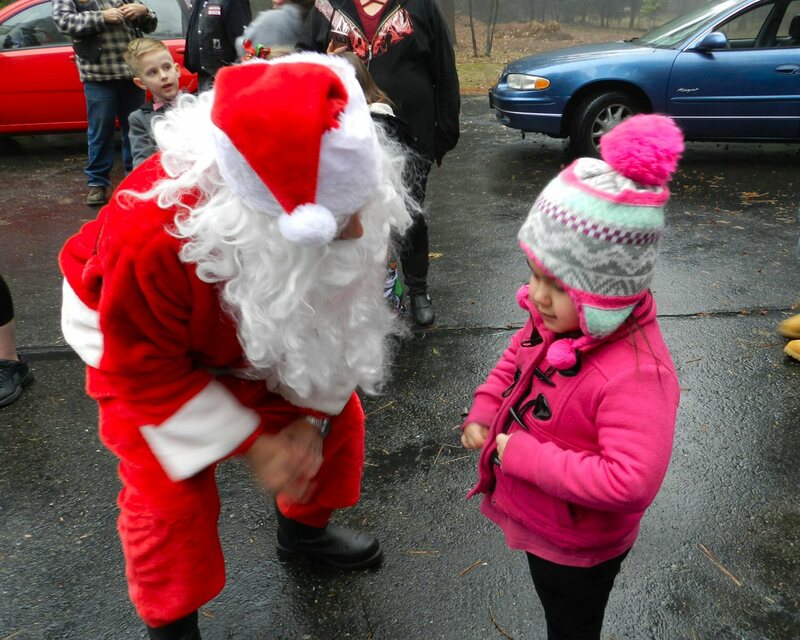 At each stop, children and their parents streamed out of their homes to greet Santa and receive presents. SEMSA, Sierra Medical Services Alliance, a not-for-profit ground and Air Medical service, is expanding its Ambulance Ground Membership program, effective immediately. SEMSA has been in operation in the Lassen County area for 14 years in partnership with Banner Lassen Hospital providing ground and critical care ambulance services. 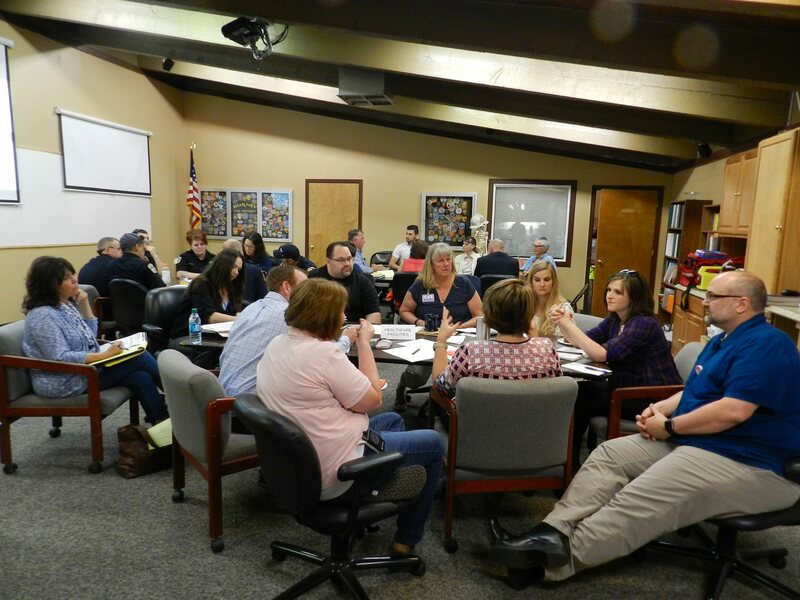 March 1, 2017 was a milestone day when SEMSA operations expanded to include Shasta and Modoc counties. This expansion came about through a partnership with Mayer’s Memorial Hospital and Southern Cascades Emergency Services. Newly expanded Ambulance Ground Membership now covers members in the Lassen, Shasta and Modoc SEMSA operating areas. Ambulance Ground Membership covers up to five people who permanently reside in the same home, (subject to Membership agreement). Current Lassen County members automatically have the new expanded coverage. SEMSA is excited to be able to offer this expanded ground membership to better serve our communities. Caring for you and your loved ones when it matters most, SEMSA, in partnership with Air Methods also offers an Air Membership program. SEMSA will be officially launching the new expanded Ambulance Ground Membership program at the Fall River Air Show on 6/17/2018. Staff will be on hand to answer questions and provide membership enrollment information. 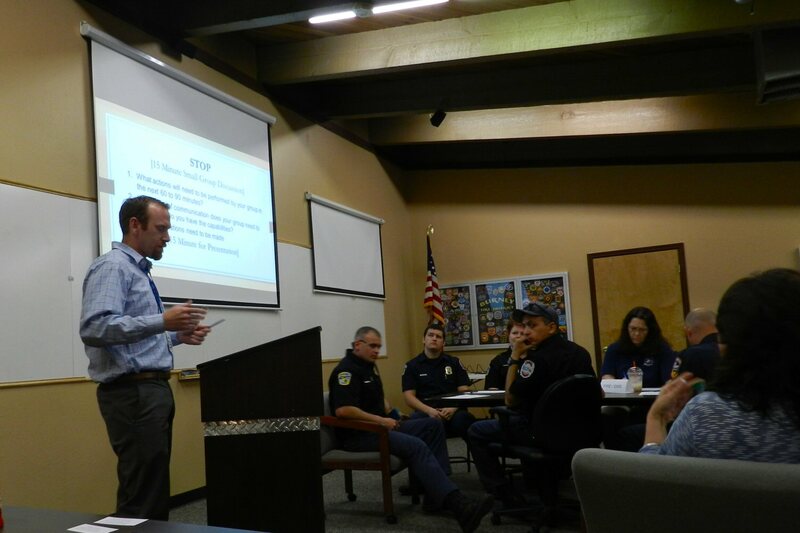 The meeting was a function of the Intermountain Preparedness Group that was formed to “attain shared preparedness and bring stability during crisis.” Agencies attending the meeting included CAL FIRE, Shasta County Fire Service, McArthur Fire Protection District, Burney Fire Protection District, Mayers Memorial Hospital District, Mountain Valley Health Centers, Pit River Health Service, Sierra Emergency Medical Services Alliance, Southern Cascades EMS District, Shasta County OEM, Shasta County Health and Human Services, and the American Red Cross, . 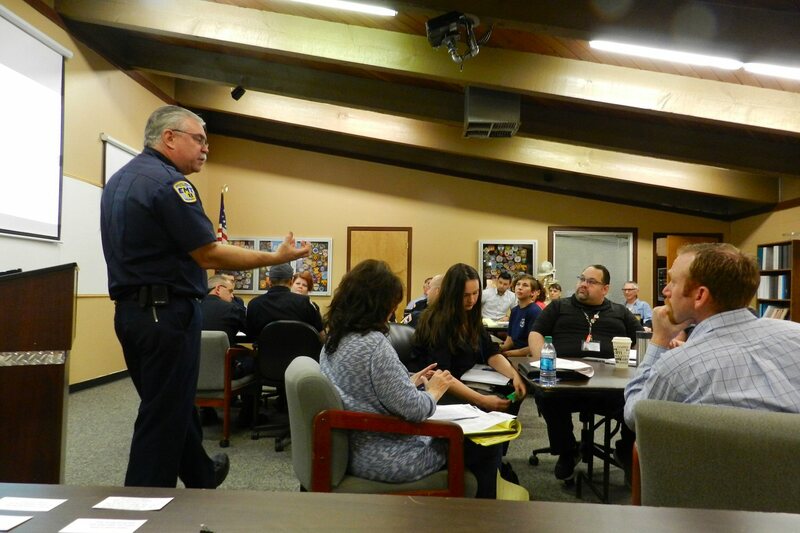 The exercise was facilitated by Burney Fire Protection District Chief Monte Keady. Participants were organized into three groups according to their mission and function. The three groups were: 1) Fire, Hazmat, and Emergency Services; 2) Health Care Facilities; and 3) Support Services. Chief Keady began the exercise by presenting a scenario of a mass causality event. The scenario involved a 40 vehicle fire on Hwy 299 in which 40 vehicles were involved. It included injuries and fatalities, a fire that began to spread, and a hazardous waste spill. After briefing the audience on the situation, Keady asked each group to engage in a fifteen minute discussion about how they would respond to this emergency in the first 60-90 minutes. Afterward, a representative from each group presented a summary of their discussion. In their summaries they discussed how they would plan, organize and staff each of their operations, set up a command structure and communications, organize relief efforts and transportation, provide services, set up shelters, etc. After each presentation there was an opportunity for question and answer and open discussion. The meeting also included breaks during which participants could share refreshments and talk on a less formal basis. For more information about the Intermountain Preparedness Group, citizens can contact any of the participating agencies. BURNEY, Calif. — Pacific Gas and Electric Company (PG&E) will provide higher flows on a portion of the Pit River in eastern Shasta County over the Columbus Day weekend. The higher flows will occur from October 6-9. Flows will be increased from about 220 cubic feet per second (cfs) and will reach 1,000 cfs by early morning on Friday, October 6, then to as much as 1,150 cfs over the entire four-day period before being gradually reduced starting the late afternoon of Monday, October 9. Recreationists in or near this portion of the river are encouraged to use extra caution during the increased flows. This portion of the river contains Class IV and V rapids, which are appropriate only for skilled paddlers. The flows are not safe for tubing. The Pit 1 Reach is the 6.5-mile portion of the Pit River that extends from PG&E’s Pit 1 Forebay in Fall River Mills to the Pit 1 Powerhouse. The whitewater flows are a requirement of PG&E’s license conditions for the Pit 1 Hydroelectric Project. Sudden immersion in cold water can stimulate the “gasp reflex,” causing an involuntary inhalation of air or water. It can even trigger cardiac arrest, temporary paralysis, hypothermia and drowning. When faced with swift water, even the strongest swimmers may be easily overwhelmed. Many unseen obstacles can be lurking below the water’s surface. Swift water can make these obstacles even more treacherous. Guided trips for inexperienced paddlers are recommended. Recreating in PG&E canals and flumes is strictly prohibited. Stay out of canals and flumes, which are very dangerous due to slippery sides, sub-surface obstacles, fast moving water, and transitions to full tunnels and pipes. Mayers Memoriial Hospital District (MMHD) will be hosting a one semester CNA Class in collaboration with Shasta College beginning January 2018. The course will provide complete training to be a certified nursing assistant in one semester. This is an opportunity to develop a steady career with benefits at a competitive wage starting at $15 an hour. MMHD will pay students while going to school. Classes are limited to the first 15 applicants. Applications are due by October 6. Application forms are available at MMHD facilties in Fall River and Burney and at www.mayersmemorial.com. The CNA Training Program prepares students with the information and experience needed to become a Nurse Assistant who will provide quality care for residents in long-term care facilities, hospitals, home health care and hospice settings. For more information call (530)336-5511 Ext 1206.